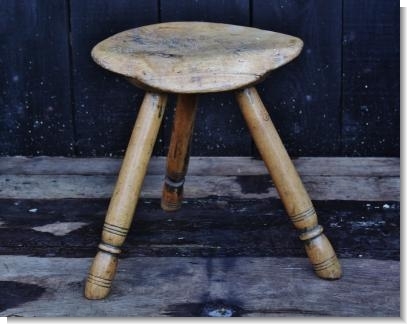 In today's throw away society many objects just would't survive, and yet like this wonderful 19th century Welsh sycamore milking stool, become objects of beauty. 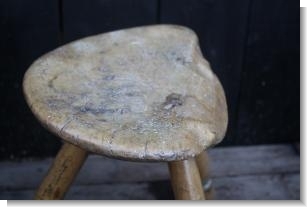 The broken edge became worn and shapely and probably more comfortable to sit at and still as usable. I think we forget that 100 years ago a stool was an investment for many rural folk. 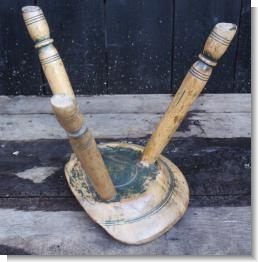 Still retains much of its original green underpaint.